Hence, in 2017, only 1.2 per cent of Austrian businesses struggled with financial problems that ultimately resulted in insolvency. However, liabilities increased by as much as 35 per cent compared to 2016, underlining the large amount of debt outstanding in Austria at the moment. In insolvency law, Austria is generally considered a creditor-friendly jurisdiction. In order to prevent insolvencies, and to protect the companies themselves and their creditors, the Insolvency Law Amendment Act 2010 entered into force on 1 July 2010.3 It quite comprehensively changed Austrian insolvency law. Since 2010, the Austrian Insolvency Act has provided for uniform insolvency proceedings.4 First and foremost, the new insolvency law aims at encouraging companies in financial distress to use the various procedures for restructuring and protecting insolvency as early as possible. In combination with a mandatory filing requirement, delays in filing for insolvency shall be prevented. The Insolvency Law Amendment Act 2010 was well received throughout the insolvency community and has proved to be a success. This is the most common form of insolvency proceedings in Austria. It aims at liquidating all assets and distributing the funds generated from liquidation to the debtor's creditors. When opening bankruptcy proceedings, the debtor loses its rights of administration and disposition, which pass to the insolvency administrator. From that point on the debtor remains the owner of the assets, but the assets form the insolvency estate to be used primarily to satisfy the claims of creditors. One of the main objectives of the Insolvency Law Amendment Act 2010 was to improve the debtor's ability to continue as a going concern. Restructuring proceedings encourage a form of debt settlement that is better prepared and, therefore, rapidly finalised. It aims at continuing the operation of the business of the debtor during and after the proceedings, without liquidating the debtor. If restructuring proceedings fail, they are transformed by court order into bankruptcy proceedings.6 Additionally, the Austrian Reorganisation Act7 also provides – at least in theory – provisions for the restructuring of a company suffering financial difficulties. It is directed at companies that find themselves in an early stage of financial distress. According to the provisions of the Austrian Reorganisation Act, a debt-equity ratio of below 8 per cent and a debt amortisation period of more than 15 years indicate an impending insolvency. However, these provisions have little practical relevance, as the completion of such procedure requires the consent of all creditors.8 Nevertheless, the Austrian Reorganisation Act was prominently used during the Hypo Alpe Adria crisis when the Kärntner Landesholding9 applied for reorganisation proceedings at the competent Regional Court Klagenfurt10 in order to take certain legal measures on behalf of the Kärntner Landesholding and Carinthia in its function as supervisor as well as potential creditors of liabilities facing several claims in connection with the HETA settlement. The respective petition was withdrawn before a decision was made. Apart from the aforementioned, out-of-court restructuring efforts and negotiations are very common and usually initiated prior to the opening of (in-court) insolvency proceedings, and conducted mostly on an informal basis. 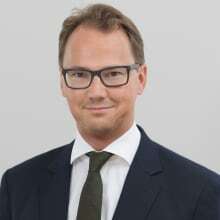 However, Austrian law does not know hybrid court-administered restructuring proceedings or insolvency proceedings, such as the German Schutzschirmverfahren (i.e., special pre-insolvency, court-administered proceedings). Under the Austrian Insolvency Act, the opening of insolvency proceedings requires either illiquidity11 or over-indebtedness12 of the debtor. This criterion is assessed by means of a two-step test. Austrian law abstains from relying solely on the balance sheets but rather also considers the future commercial opportunities and development of the debtor. Over-indebtedness thus means that the liabilities of a company exceed its assets and that the debtor has a negative going concern forecast. According to case law, the necessity to apply this two-step test is triggered by a finding of negative equity based on the balance sheet of the respective company. Meanwhile, the prevailing view14 is that the assets are assessed on the basis of their liquidation value rather than their going concern value. If the company is in a state of calculated over-indebtedness, the second step of the test has to be performed, which has to show a positive going concern forecast (a positive Fortbestehensprognose).15 The going concern forecast has to assess future solvency and economic viability of the company. A tool commonly used for preparing such going concern forecast is a standardised template of the Austrian Federal Chamber of Commerce detailing the key elements to be set forth therein as well as the methods to be used for the preparation of such a forecast.16 In a nutshell, a business plan has to be prepared, showing – with a preponderance of probability – that the company will (1) become and stay solvent within the first six to 12 months following the date of the going concern forecast, and further, in the long term (i.e., two to three years), and (2) be able to achieve economic viability in the form of a sustainable turn-around.17 With regard to the required 'preponderance of probability', Austrian literature recently criticised the lack of methods to help substantiate this factor. Thus, new ideas are currently being developed in order to help assess the preponderance of probability and, consequently, provide sufficient plausibility of the positive going concern forecast.18 One of those methods frequently discussed in Austria is the 'Monte-Carlo' simulation. Given that there is a two-step test, the debtor is not obliged to file for insolvency in case it provides such positive going concern forecast irrespective of whether or not calculated over-indebtedness has been identified. According to Section 69, Paragraph 2 of the Austrian Insolvency Act, directors of a company are obliged to file for the opening of insolvency proceedings without undue or culpable delay, but in no case later than 60 days after the insolvency criteria are met pursuant to the Austrian Insolvency Act. In bankruptcy proceedings, the application may either be filed by the debtor himself or by a creditor.19 In contrast, an application for the opening of restructuring proceedings may only be filed by the debtor. Moreover, sufficient assets to cover the costs of the proceedings are required to open insolvency proceedings.20 In case no sufficient assets are available, the respective insolvency petition is rejected a limine and insolvency proceedings are not commenced.21 As a consequence, the respective company is dissolved ex officio owing to the lack of funds and deleted from the Austrian Companies Register. The purpose of the Insolvency Law Amendment Act 2010 in particular was to facilitate the reorganisation of a distressed business.22 Austrian law thus provides for two types of restructuring proceedings. Both are aimed at ensuring the continuing survival of the debtor by providing for the restructuring of (some of its) financial obligations. Simultaneously with the application for the opening of restructuring proceedings, a restructuring plan has to be submitted. This restructuring regime gives the debtor the chance of retaining the administration of its own assets, especially being able to continue to manage its own company.23 Generally speaking, the restructuring administrator's approval is required only for matters outside the ordinary course of business. Self-administration requires the debtor to file an application for self-administration supplemented by certain documents and a restructuring plan that provides for a minimum debt repayment quota to the creditors of 30 per cent of registered debt repayable within two years.24 The restructuring plan in particular must provide: (1) that the rights of secured creditors as well as the rights of creditors holding a security interest in an asset will not be affected;25 (2) full payment of all priority claims,26 any monies advanced by a third party to cover the initial costs of the proceedings and the fees of the administrator; and (3) a quota of at least 30 per cent. Furthermore, the debtor must provide evidence in the application that it is able to fund the priority claims for a period of 90 days following the application. In order to adopt the restructuring plan, a double majority must be achieved: (1) more than half of the creditors present have to vote in favour of the restructuring plan; and (2) creditors holding more than 50 per cent of the total amount of all current creditors' claims must consent. The restructuring plan is only adopted if both majorities are achieved; in such a case, dissenting creditors are overruled and have to accept the respective plan. The restructuring plan has to be approved by the creditors within 90 days of the commencement of restructuring proceedings,27 otherwise the status of self-administration is lost. However, the proceedings as such still continue as restructuring proceedings with the consequence that the right of administration and disposition pass on to the insolvency administrator. Against the backdrop of wanting to facilitate the reorganisation of businesses, the debtor is also able to submit a restructuring plan even if only ordinary bankruptcy proceedings have been initiated.30 This is also in the creditor's interest as the recovery quota is somewhat higher compared to ordinary bankruptcy proceedings. In case the submitted restructuring plan is admissible the court will issue a formal edict opening the proceedings. The court has to set a date for a hearing with regard to the restructuring plan within a period of not more than six weeks. In this hearing the creditors will take a vote on the proposed restructuring plan. In the light of achieving better results for creditors, there is a presumption for keeping the debtor's business in operation. The business itself may only be realised: (1) in case the restructuring plan is not approved within 90 days; (2) if the restructuring plan no longer corresponds to the common interest of the creditors; or (3) the requirements for carrying on with the business are no longer fulfilled. In practice, the continuation of the operations of the debtor's business is only possible in case there are additional sources of financing and any further losses can be avoided. In case the restructuring plan has been approved with the necessary double majority, it is further required to receive the confirmation of the competent insolvency court. The court, however, must not force the creditors to accept the plan. Following the acceptance and confirmation of the restructuring plan, the debtor will (again) be vested with all rights in and to the estate. In certain cases, however, the restructuring plan may also provide for a trustee to be appointed to: (1) supervise the fulfilment of the restructuring plan by the debtor; (2) take over the estate with the mandate to fulfil the restructuring plan; or (3) liquidate the estate. In 2017, for instance, a total of 2,546 bankruptcy proceedings were initiated in Austria,31 making this liquidation proceeding still the most common type of insolvency proceedings in Austria. In bankruptcy proceedings, the application might either be filed by the debtor himself or by a creditor. The insolvency court has to assess whether the conditions for the opening of the proceedings are fulfilled. In order to avoid that creditor's using filing for insolvency as leverage, the court has to continue with its assessment even if the application has been withdrawn by the creditor as the withdrawal alone does not suffice to rebut the debtor's illiquidity. In case bankruptcy proceedings are initiated, the insolvency court in any event has to appoint an insolvency administrator. The debtor's right to administer and dispose of the assets passes to the insolvency administrator. Any acts taken by the debtor after the opening of insolvency proceedings are legally void with regard to the insolvency creditors. The opening of insolvency proceedings is tied to a number of substantive legal consequences that are applicable to all kinds of insolvency proceedings. Once insolvency proceedings are commenced, creditors can only enforce their claims using the rules provided for in the proceedings. Court proceedings and litigation with regard to the insolvency estate are suspended ex lege with the opening of insolvency proceedings; they cannot be commenced or continued. Creditors are further prohibited from obtaining court-ordered security; executions against claims in insolvency are inadmissible.32 Further, Austrian insolvency law stipulates a bar on dissolving contracts that are essential for carrying on with the business. Basically such contracts – within six months of the opening of insolvency proceedings – may only be dissolved for good cause. In this regard it has to be noted that the deterioration of the economic situation of the debtor as well as the debtor's default in fulfilling claims due before opening insolvency proceedings are not considered to be good causes within the meaning of this provision.33 Further, there are certain limitations on the creditor's ability to use insolvency as grounds for termination of contractual agreements.34 With regard to bilateral contracts that neither party has completely fulfilled at the time of the opening of the insolvency proceedings, Section 21 of the Austrian Insolvency Act stipulates that the insolvency administrator may elect to either assume or withdraw from said contract. In case the insolvency administrator assumes the contract, any claims of the contractual partner arising out of this contract constitute priority claims. The effect of insolvency on security arrangements depends on the exact type of security. The Austrian Insolvency Act distinguishes between the right of separation of assets and the right of separate satisfaction. Generally speaking, both are – subject to voidance claims (see below) – not affected by the opening of insolvency proceedings. In case of an absolute right in rem such as in particular retention of title, the respective secured creditor has a claim of separation to receive the asset as this asset does not form part of the insolvency estate.35 Claims relating to an absolute right in rem are made against the insolvency administrator. Where the insolvency administrator does not release the asset, an action may be brought against the administrator. With regard to claims for separate satisfaction (such as pledges and securities) the creditors are entitled to receive the value of the assets in case they are sold by the insolvency administrator. The amount received when selling such assets serves as a pool of separate assets and the respective creditors are entitled to preferential satisfaction from the sale proceeds. In case the proceeds are insufficient to satisfy the claim, the creditor has to declare the remaining amount as an insolvency claim with the insolvency court. With regard to management liability, a distinction needs to be made between a director's internal liability in regard to the company and potential external liability in regard to third parties. Under Austrian law, directors are obliged to perform their duties with the care of a prudent and diligent business manager.36 Directors may be held personally liable if they negligently or wilfully cause damage to the company. Generally speaking only the company itself, represented by the (remaining) directors, the shareholders or the insolvency administrator is entitled to claim compensation for such damage. Direct claims may be brought by third parties only in specific cases where the director has violated a law protecting the interest of said third parties. Intent to discriminate: This provision applies in case of transactions concluded by the debtor to intentionally discriminate against certain creditors with regard to the others within the past 10 years prior to the opening of insolvency proceedings and if the other contracting party knew of this intent. If the other contracting party should have known of such intent, the period in which to contest the transaction is reduced to two years. Regarding related persons a statutory law provides for a reversal of the burden of proof. Squandering of assets: A transaction falls under this provision if the other contracting party must or should have known that the transaction squanders the company's assets and the transaction was entered into within the last year prior to the opening of insolvency proceedings. Dispositions free of charge: This provision relates to transactions that were made free of charge (gifts) and were entered into within the last two years prior to the opening of insolvency proceedings. Preferential treatment of creditors: Transactions concluded within the last year preceding the commencement of insolvency proceedings but after material insolvency or the petition for opening insolvency proceedings or in the last 60 days may be challenged if said transaction was objectively preferential or was intended to be preferential and thus discriminates against one creditor with regard to the others. Knowledge of illiquidity: A transaction carried out within the last six months preceding the commencement of insolvency proceedings but after material insolvency or the petition for opening insolvency proceedings may be challenged if the other contracting party knew or was negligent in not knowing of the debtor's illiquidity or the filing of the petition for opening insolvency proceedings, respectively. Further, it is necessary that the respective legal act either constitutes satisfaction or securing of a creditor or is deemed to be disadvantageous. The claim contesting a transaction must be filed within one year of the opening of insolvency proceedings by claim or objection by the insolvency administrator. It must seek a declaration of ineffectiveness of the contested transaction. Recently, a comprehensive reform of debt settlement proceedings for natural persons entered into force in Austria on 1 November 2017. Since 1 January 1995, natural persons have the possibility of debt relief within the framework of debt settlement proceedings.43 This is a special form of insolvency proceedings for natural persons, irrespective of whether they are consumers or individual entrepreneurs. The aim of the debt settlement proceedings is the ability to offer a person who is insolvent a realistic chance to – commercially speaking – 'start all over again' and to become debt-free after the lapse of five years. During this period a minimum debt repayment quota will no longer be required. The main focus of the reform proposals was the abolition of such minimum quota of 10 per cent, which was finally implemented into law. Pursuant to the first quarter of 2018 figures, there may already been seen an impact the reform has on the local market, as filings have increased by about 30 per cent. It may also be expected that a rather liberal approach on debt settlement for natural persons will trigger cases of forum shopping and natural persons shifting residence to Austria. In addition to certain specific topics in company insolvency law, such as the possibility for a call for a debt-to-equity swap for creditors, the introduction of specific hybrid preventative proceedings (similar to the German Schutzschirmverfahren), and group insolvency proceedings are being discussed on an ongoing basis. However, the above are very specific topics that are generally found to be applicable in too few instances that would merit the creation of a specific profound legal basis in Austria. In addition, similar topics are often also discussed on an international or EU level, for example, group insolvency proceedings (see also Section V). Probably the most prominent insolvency case in Austria is that of Air Berlin subsidiary Niki. A showdown between German and Austrian insolvency administrators on where the centre of main interests (COMI) of Niki was located came to an end only recently. When it became clear that a deal for the sale of Niki's assets out of the Austrian insolvency process had the support of creditors, the German administrator dropped its challenge to the competing proceedings in Vienna. The debate around the location of the COMI is as relevant now as it has ever been before. Niki was an Austrian subsidiary of Air Berlin with registered offices in Vienna and additional offices in Berlin. Following its German parent's collapse, Niki filed for insolvency at the local insolvency court of Berlin in December, arguing that its COMI was in Germany and not in Austria. The local Berlin insolvency court agreed and opened preliminary insolvency proceedings, rejecting an immediate appeal by a passenger rights group. Subsequently, the group successfully challenged the decision in front of the regional court of Berlin. The court found that Germany did not have international jurisdiction under the EU Insolvency Regulation because Niki's COMI was in Austria. Shortly after, the Austrian regional court of Korneuburg opened insolvency proceedings in Vienna. The German administrator eventually decided to drop its challenge to these proceedings and instead opened secondary proceedings in Germany. The recast EU Insolvency Regulation gave creditors an express right to challenge the COMI, but a debtor like Niki can only have one COMI. Before the German administrator dropped its challenge, there were seemingly an unprecedented two purported main insolvency proceedings pending. The German regional court had held that because its decision could be appealed to and overruled by the German Federal Court, the initial decision of the local Berlin court opening main proceedings would remain in place. Yet, following the appeal, the Austrian court opened main proceedings. The above case underlines that the COMI simply cannot be in two places at one time, and that further harmonisation on an international (EU) level will be required to avoid the above-mentioned 'battle for COMI'. 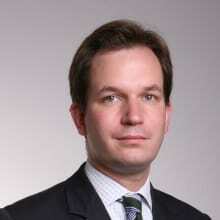 Overall, since Austria's economic growth has been picking up, with constantly low interest rates, it is estimated that 2018 will be characterised by a similar or even smaller number of insolvencies compared with 2017, again with a slight increase in restructuring proceedings over bankruptcy proceedings. While historically the Austrian construction business has been the industry with many, if not the most, defaulting companies, in recent years the banking and financial services industry was hardest hit by the global financial crisis and the downturn in Central and Eastern Europe, where many Austrian banks were and are heavily exposed. Currently, however, there are signs of recovery in the banking and financial services industry. The food and retail sectors are suffering from cost pressures and structural changes in the supply chain business, having been unduly influenced by web-based shipping and trade services. On 22 November 2016, the European Commission issued a proposal for a directive on preventive restructuring frameworks, second chance and measures to increase the efficiency of restructuring, insolvency and discharge procedures.46 If enacted, the Directive would be the first serious step towards the harmonisation of domestic insolvency laws of EU Member States. The core element of the proposal sets out rules aimed at ensuring 'that viable enterprises in financial difficulties have access to effective national preventative restructuring frameworks which enable them to continue operating'. The basic idea is to create a pre-insolvency reorganisation procedure in which the debtor negotiates a plan with creditors or select classes of creditors and that – if voted on by the prescribed majority and approved by designated national administrative agencies – becomes binding, even on dissenting parties to the plan. To facilitate negotiations, the debtor would be able to apply for a stay on enforcement action by creditors, and the commencement of insolvency proceedings. Further, the proposal provides for a safe harbour for transactions that are made in connection with the restructuring and are not carried out fraudulently or in bad faith. Protection is awarded in particular to interim financing and new financing that is granted in connection with a restructuring process. The grantors of such financing shall be protected from voidance action, as well as liability under criminal or civil law, to which they could be exposed under the existing laws of certain Member States. Those proposals and recommendations are mostly unknown to Austrian insolvency law. Thus, it remains to be seen how the Austrian legislator will implement those recommendations into national law. In Austria and with regard to insolvency law, there are no substantial reforms in preparation at the moment. Any previous reform projects, such as, for example, the introduction of a debt-equity-swap scheme, are currently in abeyance. We believe that a major challenge in Austria in the years to come will be the handling of non-performing loan portfolios of companies across industries, as the total amount of outstanding debt has reached an all-time high in Austria, both in the private and public sector. It may well be expected that increases in interest rates will have a significant and negative impact on debt repayment, and may potentially flood the Austrian market with NPL portfolios. 1 Thomas Trettnak and Heinrich Foglar-Deinhardstein are both partners at Cerha Hempel Spiegelfeld Hlawati Rechtsanwälte GmbH in Vienna, Austria. 2 Insolvency statistic 2017 of the Austrian creditors' representation organisation KSV1870: www.ksv.at/insolvenzstatistiken/insolvenzstatistik-2017-final. 3 Insolvency Law Amendment Act 2010 dated 20 May 2010, BGBl I 2010/29. 4 Feil, Insolvenzordnung 7, Section 1 FN 1 et seq. 5 The Insolvency Law Amendment Act 2010 adapted Austrian insolvency law to the new economic developments and abolished the practically irrelevant composition proceedings. Now, Austrian law provides for certain types of insolvency proceedings which are, however, all governed by the same regulations subject to a few specifics in each case. 6 This is one of the results of uniform insolvency proceedings. 7 Unternehmensreorganisationsgesetz, BGBl. I Nr. 114/1997, as amended. 8 For a comprehensive summary of this 'stand-alone pre-bankruptcy proceeding', see Mohr, Unternehmensreorganisationsgesetz – URG (1997). 9 State Holding Law of Carinithia, LGBl No. 37/1991, as amended. 10 The respective petition can be found at: www.ksv.at/sites/default/files/assets/documents/antrag_auf_einleitung_eines_reorganisationsverfahrens.pdf. 11 Section 66 of the Austrian Insolvency Act. 12 Section 67 of the Austrian Insolvency Act. 13 OGH 3 Ob 9910/w. 14 Burger, Entwicklungslinien der Rechtsprechung zum Überschuldungstatbestand, wbl 1988. 15 Trettnak/Heimel, Eine Prognose, die beim Weiterleben hilft, Der Standard, Wirtschaft & Recht Journal, 13.10.2016, 14 et seq. 16 Leitfaden Fortbestehensprognose Gemeinsame Stellungnahme, March 2016. 17 Karollus/Huemer, Die Fortbestehensprognose im Rahmen der Überschuldungsprüfung2 (2006). 18 Birgmayer-Baier/Piringer/Schützinger, Die Plausibilisierung der ‚überwiegenden Wahrscheinlichkeit' bei Fortbestehensprognosen durch Monte-Carlo-Simulationen, ZIK 2016/224. 19 See Section 70 of the Austrian Insolvency Act. 20 With regard to companies the initial cost of the insolvency proceeding is estimated at €4,000. It is, however, not necessary that this amount is available in cash. Tangible assets as well as claims against creditors are considered sufficient for this purpose. Whether or not there are sufficient assets has to be assessed ex officio. In case there is a lack of sufficient assets, the competent court requests an advanced payment from the applicant (debtor or creditor). The obligation to provide such an advanced payment relates to the directors as well as shareholders holding a stake of more than 50 per cent. 21 In 2017, a total of 2,054 insolvency proceedings were rejected a limine because the petitioning entity did not have sufficient assets. This was approximately 41 per cent of all insolvency proceedings in Austria in 2017. 22 Restructuring proceedings may already be applied for in case of impending illiquidity. 23 The debtor's right to keep administering its assets is governed by strict rules and only possible for a very brief period of time (see Sections 169 and 170 of the Austrian Insolvency Act). 24 Section 169 of the Austrian Insolvency Act. 25 Section 149(1) of the Austrian Insolvency Act. 26 Section 150(1) of the Austrian Insolvency Act. 27 Regardless of this 90-day deadline, the court has the right to withdraw the debtor's right to self-administer its company inter alia if the debtor does not seem trustworthy, is not paying the priority claims in time or has made incorrect statements in its submission for the opening of restructuring proceedings. 28 Section 141(1) of the Austrian Insolvency Act. 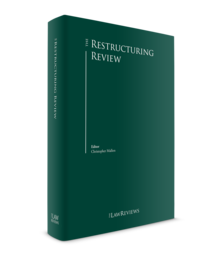 29 In 2017, 479 administrated restructuring proceedings were initiated compared to 62 restructuring proceedings with self-administration. For further details see the insolvency statistic 2017 of the Austrian creditors' representation organisation KSV1870. 30 This can be done until the termination of the proceedings. See Section 140(1) of the Austrian Insolvency Act. 31 Insolvency statistics for 2017 of the Austrian creditors' representation organisation KSV1870. 32 See Sections 6 et seq. of the Austrian Insolvency Act. 33 The restriction set forth in Section 25a of the Austrian Insolvency Act does inter alia not apply to claims for payments from loans and employment contracts. 34 Trettnak, Vertragsauflösung bei Insolvenz erleichtert, Der Standard, 7 April 2014. 35 In case the discharge of a secured claim could endanger the business carrying on secured creditors are barred from enforcing their claim prior to the expiry of six months after the restructuring proceedings were opened if such enforcement might endanger the continuation of the debtor's business operations. See Section 11 (2) of the Austrian Insolvency Act. 36 See Section 25 of the Austrian Act on Limited Liability Companies and Section 84 of the Austrian Stock Corporation Act. 37 OGH 4 Ob 31/07y. 38 Section 159 of the Austrian Criminal Code. 39 Section 156 of the Austrian Criminal Code. 40 Section 158 of the Austrian Criminal Code. 41 Section 153c of the Austrian Criminal Code. 42 See Sections 27 to 32 of the Austrian Insolvency Act. 43 Sections 181 et seq. of the Austrian Insolvency Code. 44 Regulation (EU) 2015/848 of the European Parliament and of the Council of 20 May 2015 on insolvency proceedings (recast). 45 For a comprehensive overview see Nummer-Krautgasser/Graber/Jaufer, Grenzüberschreitende Insolvenzen im Europäischen Binnenmarkt (2017).